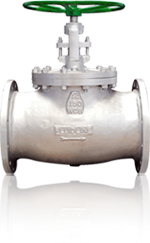 A Globe Valve is used for regulating flow in a pipeline, and consists of a movable disk-type element and a stationary ring-seat, in a spherical body. Designed for least possible obstruction to free flow by providing curvature turns in the body thereby minimising stresses & turbulence. The plug & seat-ring are machined and lapped very precisely to get a very tight sealing when valve is closed. Designed and manufactured to the highest standards of quality and, durability. Petroleum, Power Generation, Chemicals, Fertilizers, Steel Industry, Natural Gas/Fuel Oil Control, Steam Control and Feed Water Control. Operators: Handwheel, Chainwheel, Gear Electrical Actuator, Pneumatic/Hydraulic, Actuator Operated. 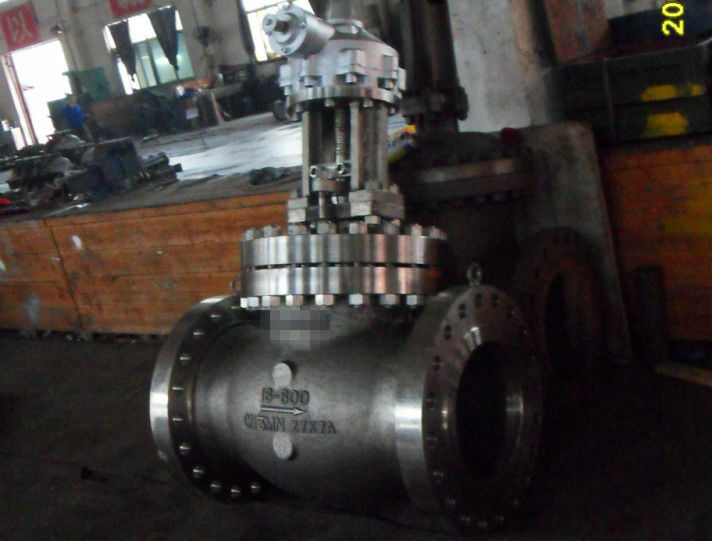 Special Features: Pressure Sealed Joints/Double Block and Bleed/Cryogenic Service to BS 6364/Nace Specifications (MR-01-75), Regulating Discs for Throttling Service, Double Disc, Bypass Arrangement.